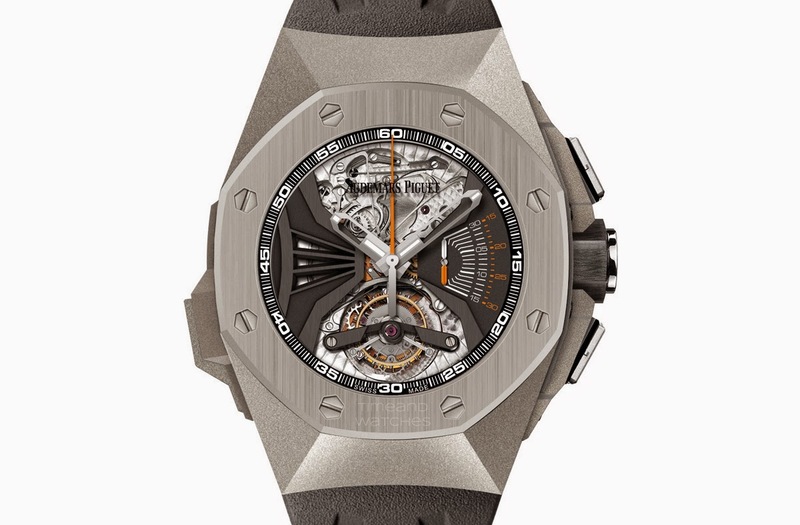 The result of an eight-year research programme in the field of acoustics with three patents pending, the new Royal Oak Concept RD#1 "Acoustic Reserach" is - according to Audemars Piguet - a major breakthrough in terms of sound transmission and intensity in a chiming watch. 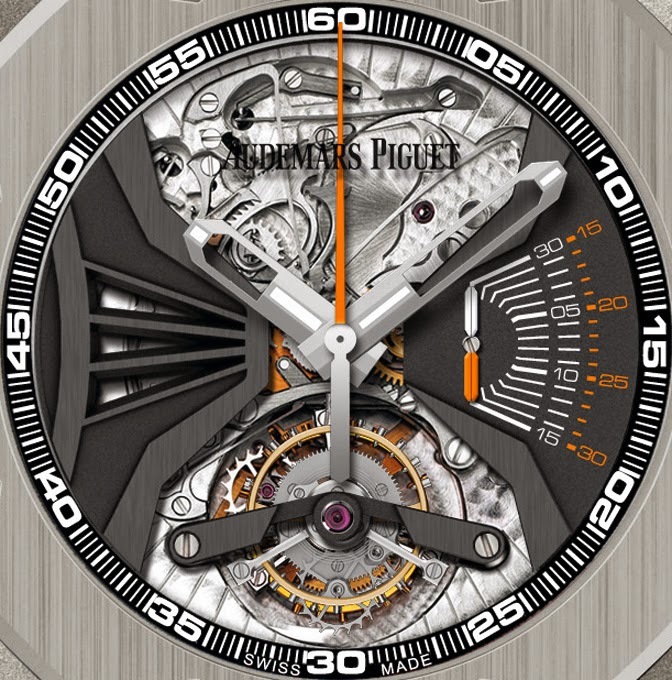 Audemars Piguet will unveil this unique prototype during the Salon International de la Haute Horlogerie 2015 (SIHH) in Geneva. 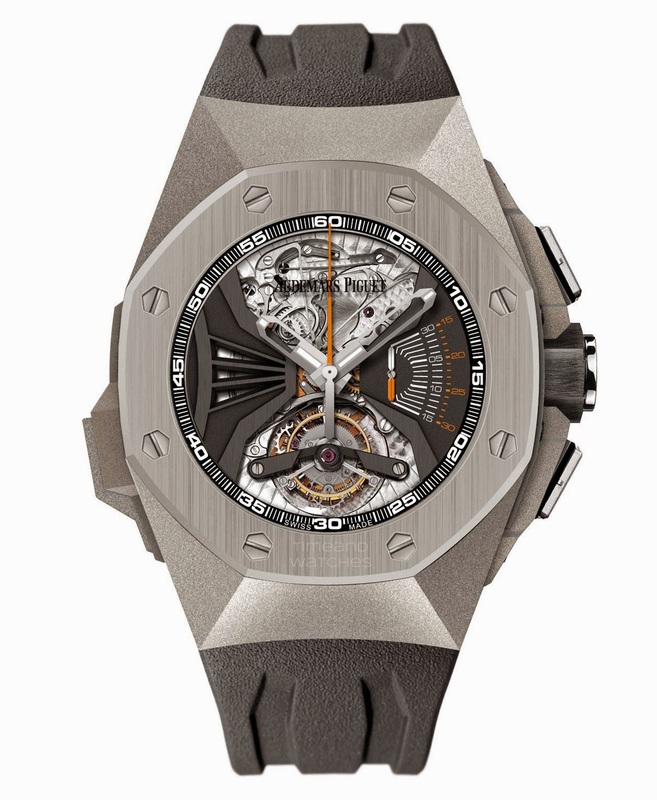 Developed through an ongoing acoustic study programme in collaboration with the EPFL (Ecole Polytechnique Fédérale de Lausanne), this new Royal Oak Concept is said to achieve a ‘perfect’ minute repeater sound at a volume level never achieved before. A key step for enhancing so dramatically the sound intensity was the introduction of new, patented solutions that could overcome the restrictions imposed by water-resistance requirements (in this case 20 metres), which unavoidably dampens volume. The new Royal Oak Concept RD#1 "Acoustic Research" is equipped with a hand-wound manufacture movement - with minute repeater, tourbillon and column-wheel chronograph - which beats at 21,600 vibrations per hour with a minimal guaranteed power reserve of 48 hours. The black and partially open-worked dial features large Royal Oak Concept luminescent hands with the tourbillon positioned at 6 o'clock and the chronograph 30-minute counter at 3 o'clock. The 44 mm case is entirely made of titanium. 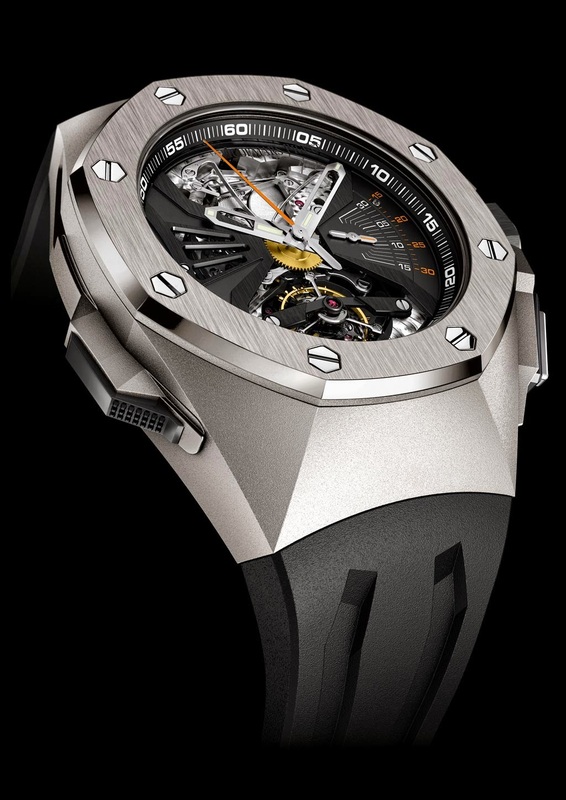 Audemars Piguet Royal Oak Concept RD#1 "Acoustic Research". The result of an eight-year research programme in the field of acoustics with three patents pending, the new Royal Oak Concept "Acoustic Reseach" is a major breakthrough in terms of sound transmission and intensity in a chiming watches. 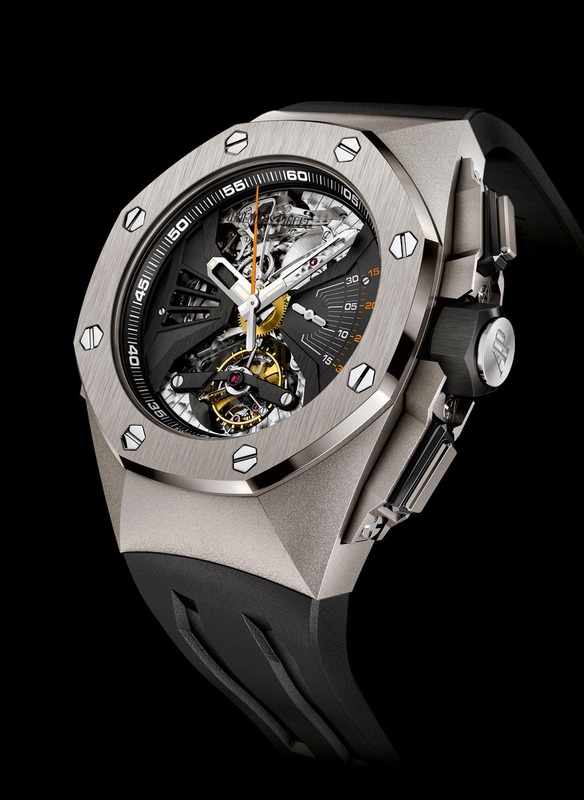 Audemars Piguet will unveil this unique prototype during the Salon International de la Haute Horlogerie 2015 (SIHH) in Geneva.